There is an amazing volume of information written about saving for retirement. Retirement is by far the largest expense that we save for, but the vast majority of information is centered around saving and investing, with little emphasize on withdrawing on the back end. Here is a collection of strategies to use for a tax free early retirement. This is the tax law around paying the penalty for early withdrawals on IRA disbursements for those younger than age 59 1/2. The IRS allows for early retirees to forgo paying the 10% penalty on early withdrawals IF they follow a rigid program of withdrawals based on current interest rates and life expectancy. Interest Rate: The interest rate used can be up to 120% of the federal midterm rate, for either of the two months preceding the start of the plan. For someone starting an SEPP in May 2014, they would choose between the March 2014 and April 2014 midterm rate. Life Expectancy: The IRS has 3 different measurements for life expectancy, for the purposes of SEPP any of the three methods is acceptable. The charts used are: The Uniform Life Table, Single Life Expectancy Table, and Joint Life and Last Survivor Table. All of these tables are available in IRS Publication 590, Appendix C. Using the Single Life Expectancy method, someone who is 50 years old has a life expectancy of 34.2 years. For March 2014 120% of the midterm rate is 2.21%, for April 2.17%, for this example we will use March’s number because it is larger. Computation: The IRS has 3 different ways you can take the payment, in this example we will use someone who is 50 years old, with a balance of $500,000 on Dec 31 2013, and using the March 2014 rate of 2.21%. 1. Required Minimum Distribution Method: Divide the previous year end balance by current life expectancy. Ex. $500,000 / 34.2 = $14,619. Every year a new calculation is made, using the same table with the new age and account balance information. For the next year, his life expectancy changes to 33.3 years. If his account balance dropped to $400,000 his payment would also drop accordingly. Ex. $400,000 / 33.3 = $12,012. 2. Fixed Amortization Method: This method takes the previous year end balance and amortizes it, using the 120% interest rate (currently the 2.21%), over the remaining life expectancy of the account holder. Each year the payment will be the same and no new calculations are used. I had to enter the numbers into a mortgage calculator (same concept), A $500,000 balance with a 2.21% rate and 34.2 years equals a yearly withdrawal of $20,861. 3. Fixed Annuitization Method: The method applies an annuity factor, based on the life expectancy of the account owner, using the 2002-62 Appendix B mortality table. In this instance, $500,000 / Annuity factor = $20,988. There is an excellent calculator provided by Bankrate.com to figure the annuitization out. Important: The IRS requires that a SEPP be followed until you reach age 59 1/2 AND for a minimum of 5 years. This means if you start at age 45, you must follow the plan to age 591/2. If you start at age 57, you must follow the plant to age 62. Failure to properly follow the plan will result in penalties due for all amounts withdrawn, as well as interest on those penalties. To keep this income tax free if it is coming from a tax deferred account, only set up an SEPP that keeps you in the 0% tax bracket, a withdrawal of no more than $20,300 for a married couple in 2014. For large account balances, the Required Minimum Distribution method may end up presenting too large of a payment, the Fixed Amortization Method allows customization because the individual can choose a smaller interest rate than the 120% of the IRS mid-term rate. In the example above, choosing a 2.02% interest rate would result in a $20,272 yearly withdrawal, just under the current taxable limit. This strategy works best for people who have contributed significant amounts to Roth Accounts. This is the easiest option. 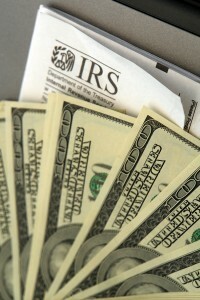 One of the major advantages of a Roth account is that contributions can be withdrawn at any time, tax free. 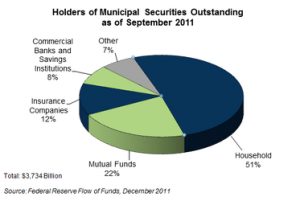 Taking out only the amount of contributions allows early retirees to forgo messing with the SEPP formula. This strategy will work best for early retirees who put a lot of money into Roth accounts AND do not have a long way to retirement age. For example, someone who contributed $200,000 into Roth accounts over 30 years of working and has 5 years of early retirement will most likely be able to live off of just these withdrawals. Someone who contributed only $100,000 to Roth accounts and needs the money to last for 10 years of early retirement will most likely need to incorporate the SEPP strategy as well or work some. This strategy can work well for someone working part time or temporary jobs in early retirement. This strategy works best for people who have saved primarily in tax deferred accounts, but have also saved some in taxable accounts. For a married couple, the first $20,300 of income is tax free, covered by the standard deduction ($12,400) and 2 exemptions ($3,950 each). 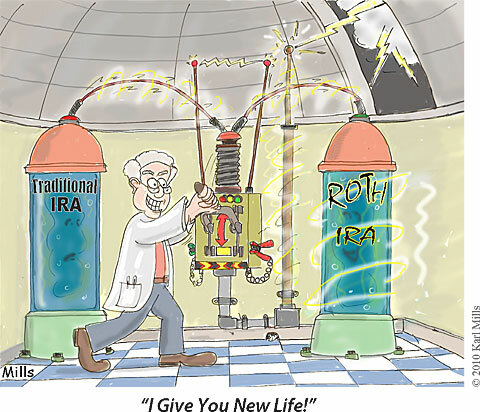 In this strategy a couple who has saved primarily in tax deferred and taxable accounts will convert traditional IRA/401K assets into Roth IRAs. They will then live off of money harvested from selling assets in their taxable accounts. Roth Conversions are relatively simple. In the tax year that the conversion is made, the conversion amount has to be recorded as taxable income. Since the first $20,300 is tax free, there will be no income tax owed on a conversion of up to $20,300. Here is an excellent article from the Mad Fientist on this topic. As far as harvesting taxable accounts goes, there are two main things to be aware of; You have to be in the 15% tax bracket or below, and all assets sold must have been held for at least 1 year to count as long term capital gains. Long Term Capital Gains for people in the 15% tax bracket and below are taxed at 0%. For a married couple, they could withdrawal up to $73,800 in LTCG per year, while converting $20,000 from a traditional IRA to a Roth IRA, and owe no tax. This is the money that the couple will live off of. Taking money out of an HSA for non-medical expenses incurs a 20% penalty plus income taxes, nobody wants to pay that! At age 65 withdrawals can be made without a penalty for non medical expenses, but income taxes are still owed. 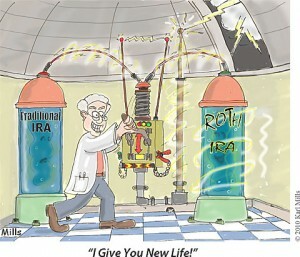 At this point an HSA functions the same as a traditional IRA. Only medical expenses can be withdrawn tax free and penalty free at any time. There is a strategy to take advantage of the tax free compounding allowed through an HSA. Instead of using an HSA to pay for qualified medical expenses when they are incurred, pay for these expenses with cash and keep the receipts (digitize them so they don’t fade or get lost). These expenses that were incurred while you were HSA eligible, can then be used against the HSA in early retirement for tax free withdrawals.If you spent an average of $2,000 a year for 25 years on medical expenses, that is $50,000 of tax free withdrawals from an HSA. not enough to live off of for very long, but can certainly supplement some of the above mentioned strategies. The IRS allows for a $250,000 exemption for singles and a $500,000 exemption for married couples on capital gains from the sale of their primary residence. For people not attached to their homes, this can be an easy way to generate tax free cash for early retirement. Many people choose to downsize their homes in retirement, after all the kids are grown and how much space do 2 people really need? You don’t have to be close to work anymore or live in a good school district. For the sake of this argument, lets say a couple bought a house 25 years ago for $100,000. It is paid off and today they can sell it for $600,000. They could relocate to a modest home in a cheaper area for $100,000 in cash, and use the $500,000 to fund an early retirement. Obviously this is an ideal make believe situation, but whether it is $500,000 or $100,000, this money can make a big difference in early retirement. NOTE: This is merely an economic observation. Unless your heart is in it this is not the path to go down. I have known several people in the foster care system who were bounced from house to house. Unfortunately there are some people who become foster care parents for the sole purpose of the check, and don’t seem to care about the kids. This is compounded by the workers trying to fit as many kids into approved homes as they can, since there is usually a surplus of kids who need homes over homes available. In Michigan, foster care parents are given a stipend of approximately $500 per month, per kid to take in a foster child, some states are more, some are less. This money is to offset the household expense brought in by having a kid there. I think that early retired couples by definition are in a great position to be foster parents. Many have children who are already grown, so they have experience dealing with children, they are financially secure, and they have more time to spend with children who need their attention. Once again, this path is a serious commitment and should only be taken by someone whose heart is in it. Foster parents can claim their foster kids who are placed by the court in their care for greater than half the year on their taxes. This provides a $3,950 deduction, the possibility of a $1,000 child tax credit, and the possibility of being able to claim Earned Income Credit, which can be substantial depending on individual circumstances. Interest earned from Municipal and State bonds are exempt from federal income tax. I personally am not a big fan of bonds at all, but this is another option for a tax free early retirement. The Vanguard High Yield Tax Exempt Fund (VWHAX) has returned 6.72% annualized since its inception in 1978, and 4.58% annualized over the last 10 years. Compared to the Vanguard Corporate High Yield Bond Fund (Taxable) which has returned 8.84% annualized since inception and 6.94% annualized over the last 10 years. I would not have a substantial amount of money in bonds, but my risk tolerance is higher than others. For someone who buys the 100 – current age rule for percent of stocks to bonds to have in your portfolio, a 50 year old early retiree would keep 50% of his portfolio in bonds. If he had $1 million saved total, and split his bonds 50% in corporate and 50% in municipal, he would have $250,000 in municipal bonds. With a yield of 4.58%, he would receive $11,450 in tax free income on average. Most of these options can, and should be used together to ensure a tax free retirement. Do you know of some other options for a tax free early retirement? 4 Responses to "7 Options For A Tax Free Early Retirement"
Excellent post. Another option is to have an annuity, were you pass on cash to the annuity. Then you can determine when to release the funds as income. Cool thanks Resman! I don’t know much about annuities, I’ll have to look into that. Okay, I have a question about the HSA…so the expenses you claim are not limited to the account balance at the time the expense was incurred? For example, you incur a $20,000 medical bill in 2014. At that time your HSA balance is $15,000. You do not reimbure yourself until 2020, when your HSA balance is $100,000. The reimbursement is not limited to $15,000? Correct, that is my understanding. 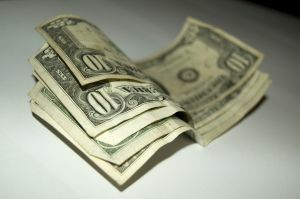 As long as you have saved the receipts and incurred the expenses while your HSA existed, and all contributions made to the HSA were made during a time you had a qualifying HDHP, then you can reimburse yourself at a later date with HSA funds that have accumulated in the HSA, regardless of how much money was in the fund at a given time. I have not read a report of anyone executing this strategy, but I have read several articles about doing it. It would be neat to find an example of someone who has done it, to see how much of an administrative nightmare this strategy is. The caveat to this is that if you itemized that $20,000 bill in 2014 to get the deduction for medical expenses. If this was done I’m sure you wouldn’t be able to use the same expense as an HSA reimbursement down the road.